Stone Creek has officially made its way to Chicago, 939 W. Belmont Ave. Published April 15, 2019 at 7:00 p.m. 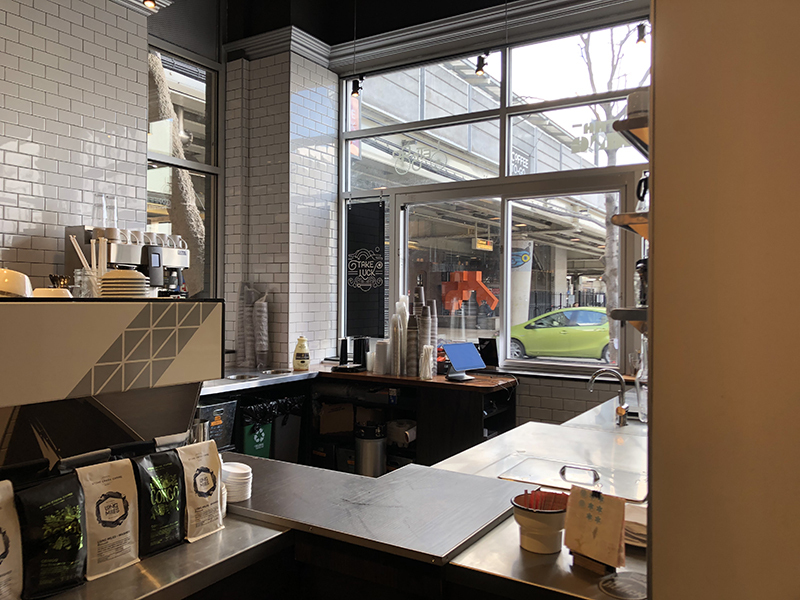 This past weekend, Stone Creek – one of Milwaukee's coffee gems – opened a cafe in Chicago. 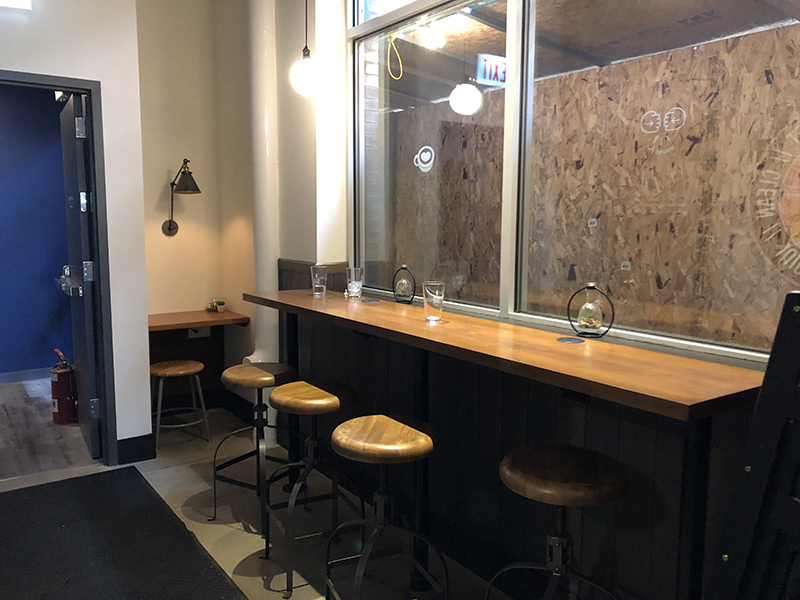 After months of planning, it's officially open in the Lakeview neighborhood right off of the Belmont "L" stop at 939 W. Belmont Avenue. It's surrounded by popular establishments like the concert venue The Vic, Cheesie's Pub and Grill, the drag bar Berlin and more. 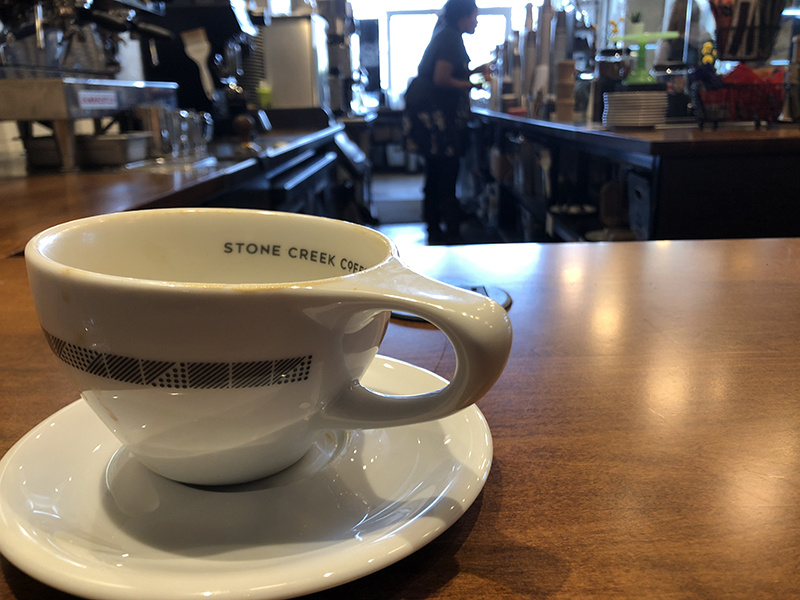 Stone Creek Coffee's history goes all the way back to 1993 to when it was founded in Milwaukee. 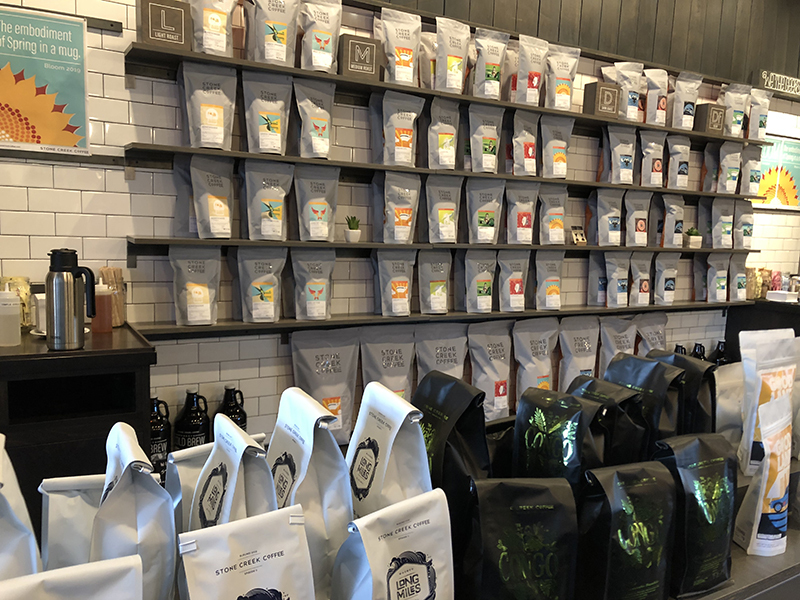 Since the early days, their coffee beans came from direct relationships with farmers, which inspired their motto "Farm to Cup." 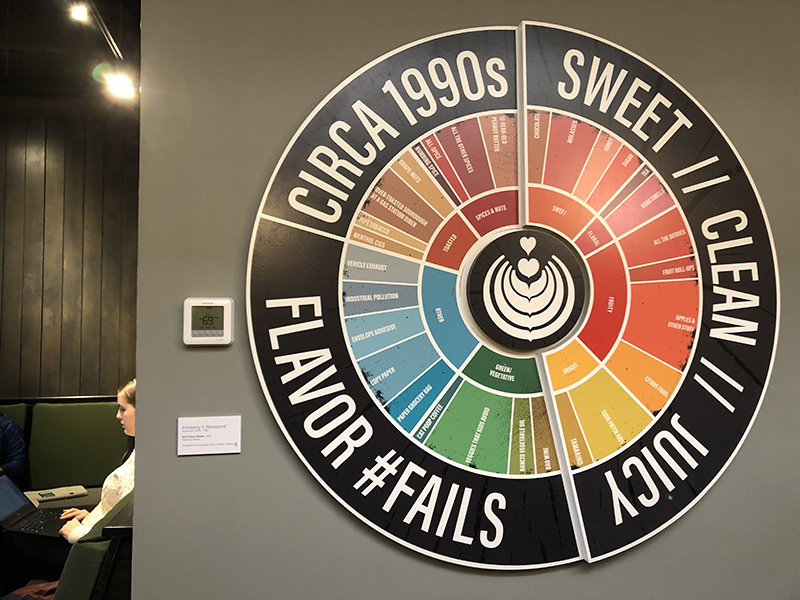 This high standard is still practiced today by the Stone Creek owners and employees, some of whom refer to themselves as "coffee geeks." 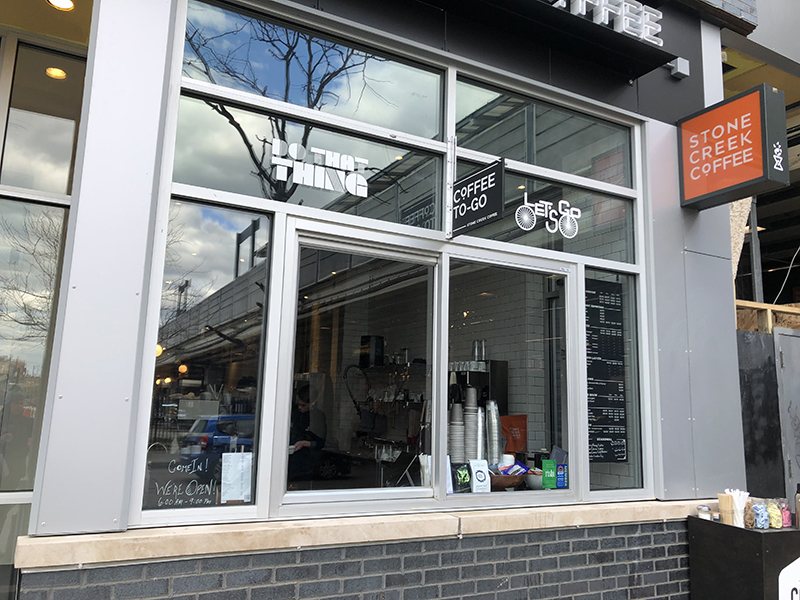 One of the stand-out amenities of this coffee shop is the to-go window. When you live in the hustle and bustle of a city it's nice that you can stop at a window to order, grab your drink and then head on your merry way to your next location. This will be perfect for the summer season that's right around the corner. 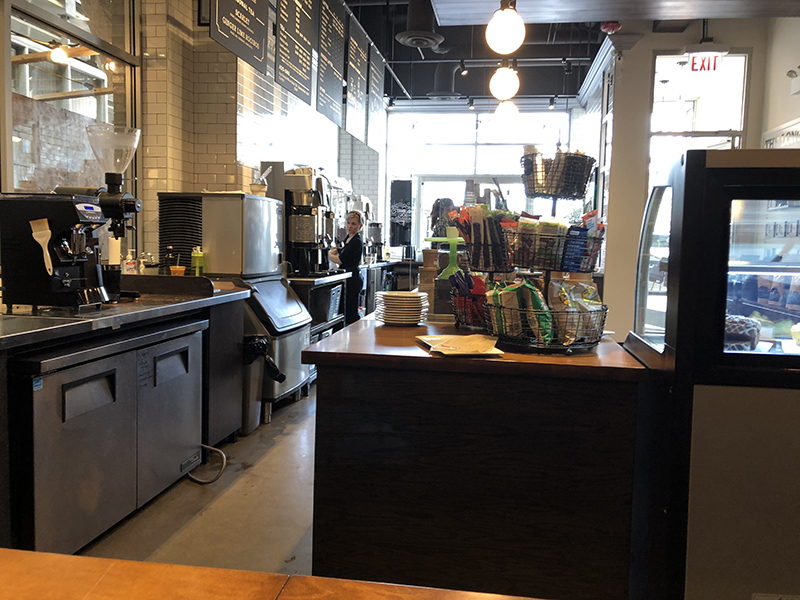 Inside the joint, there is wide counter space so the baristas have plenty of room to do their thing. It also loops around to offer space for sitting right at the counter where you can watch the action happening. 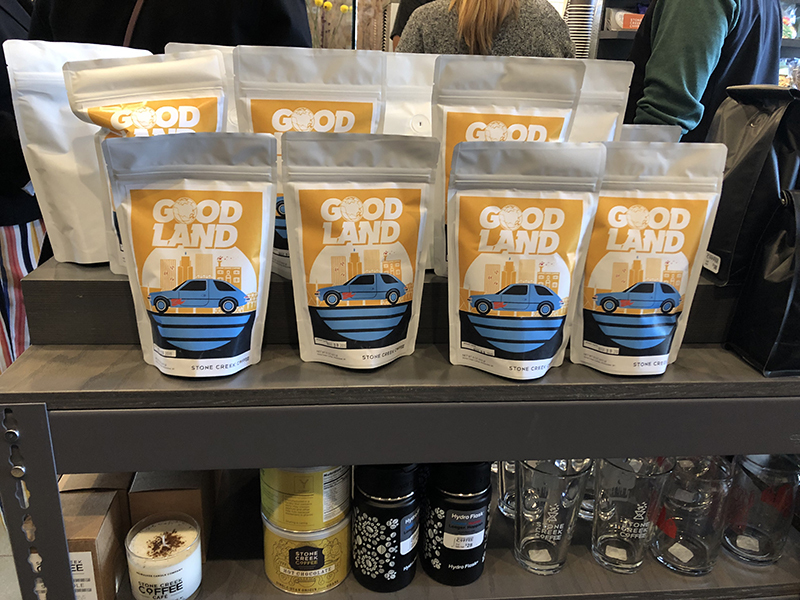 As you look around, you can see coffee bags lining the walls, including a Good Land roast to radiate some Milwaukee pride. Further inside, there's a huge sitting space full of tables. They have a long one that many people can plop down or they have tables meant for two. Additional counters align the wall. The place is very bright with the open windows toward the front and the unique light fixtures throughout the space. Stone Creek is definitely a spot where you can spend hours. 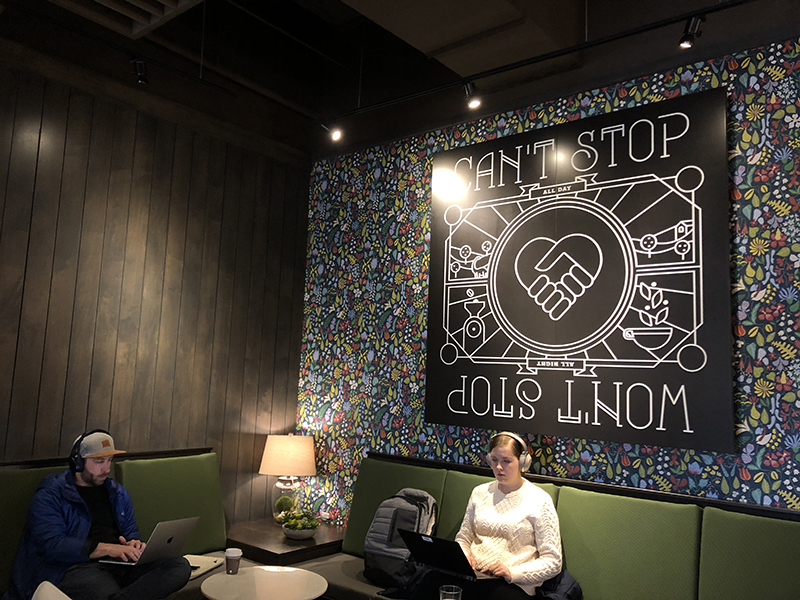 Even on opening day, this place was packed with people sitting on their laptops, chatting with friends, reading books and most importantly enjoying their coffee. 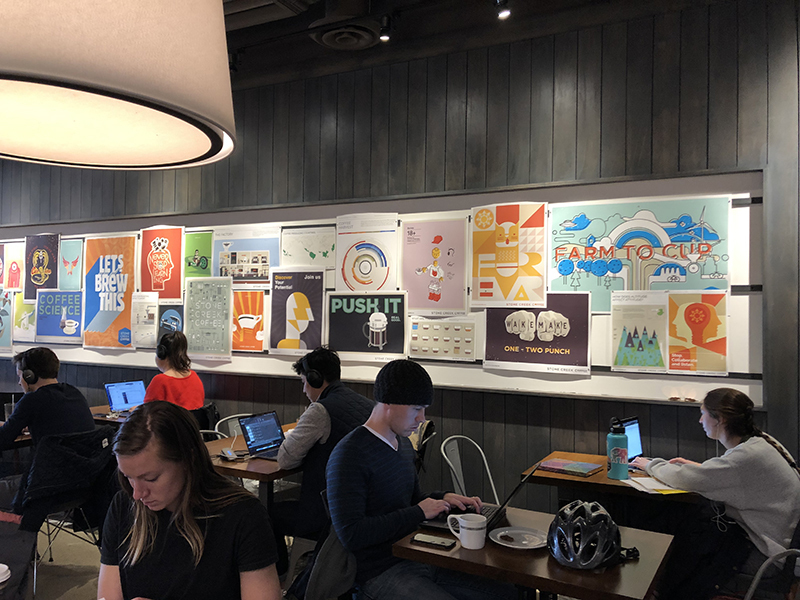 The walls are aligned with posters that showcase Stone Creek's personality with mantras like "farm to cup," "never stop learning," "can't stop won't stop" and more. 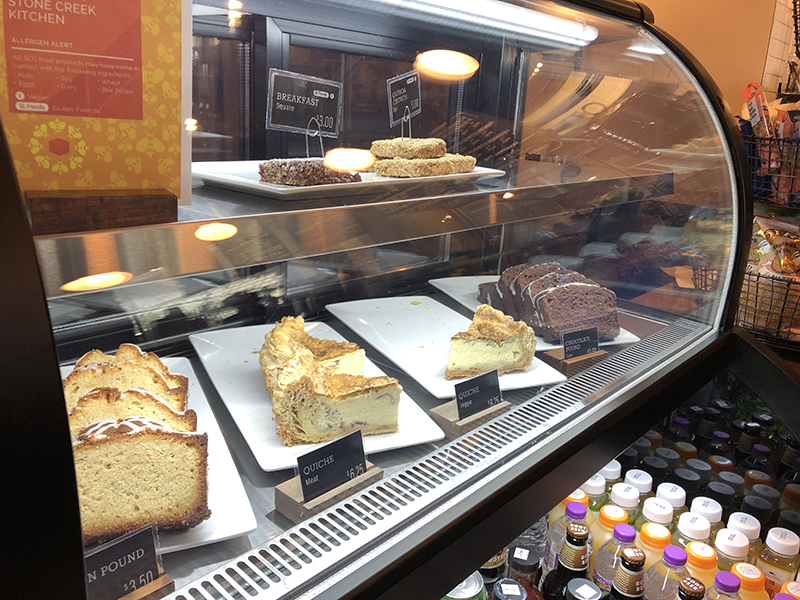 The menu has a wide variety of coffee drinks from the basics like a drip coffee or espresso drinks or more adventuresome latte flavorings like honey, vanilla bean, lavender, Mexican spice, Caramella and cardamom. 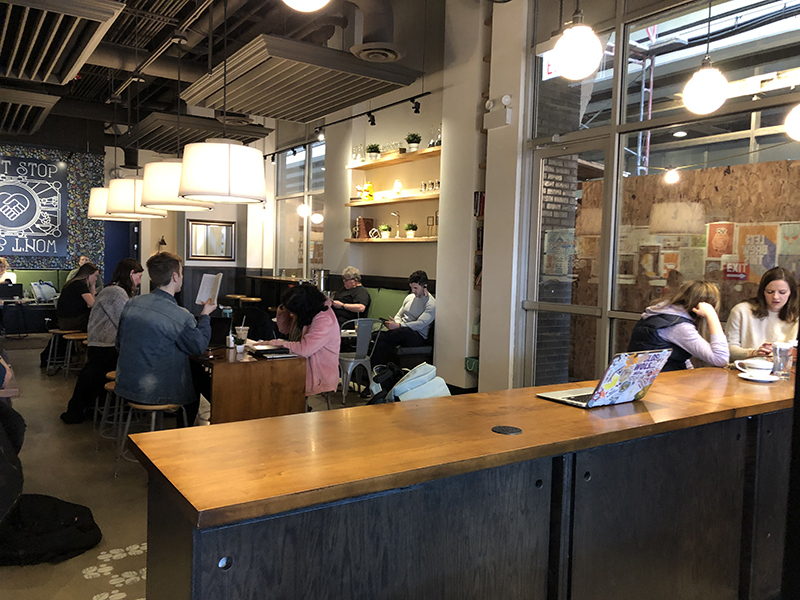 As of right now, their seasonal drinks that are available include rosemary honey latte, jasmine citrus latte, jasmine citrus cold brew, a lavender London fog and scarlet and ginger lime rooibos teas. All the drinks can be taken to go or be put in a mug for you to have as you stay awhile. 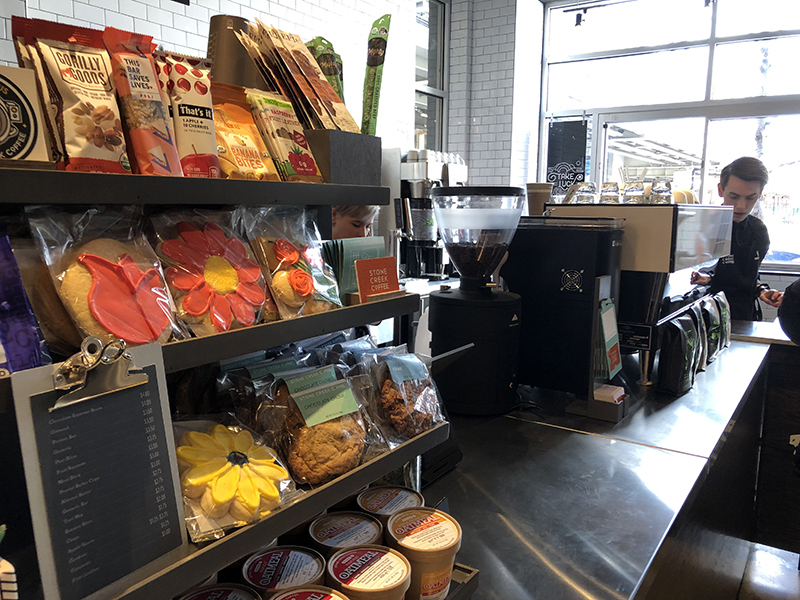 As summer approaches, they have smoothies, cold brew and frozen drinks as well. As for the food menu, it's pretty basic with snacky items like pastries, granola, quiche, snack bars, etc. 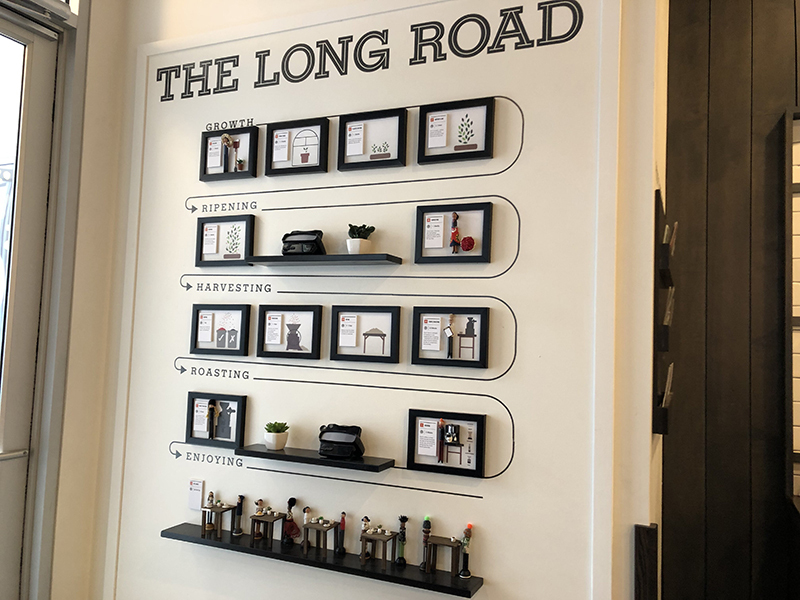 If you're looking for a big breakfast, head somewhere else, but if you're looking for a specialty coffee and a treat, this is the perfect spot. A barista on opening day said, "I think it's going to be hit." If you want to join in on the hype, you can now head to this location Monday through Sunday from 6 a.m. to 9 p.m. to officially check it out.